Our group of 7 had lunch at Yak & Yeti. 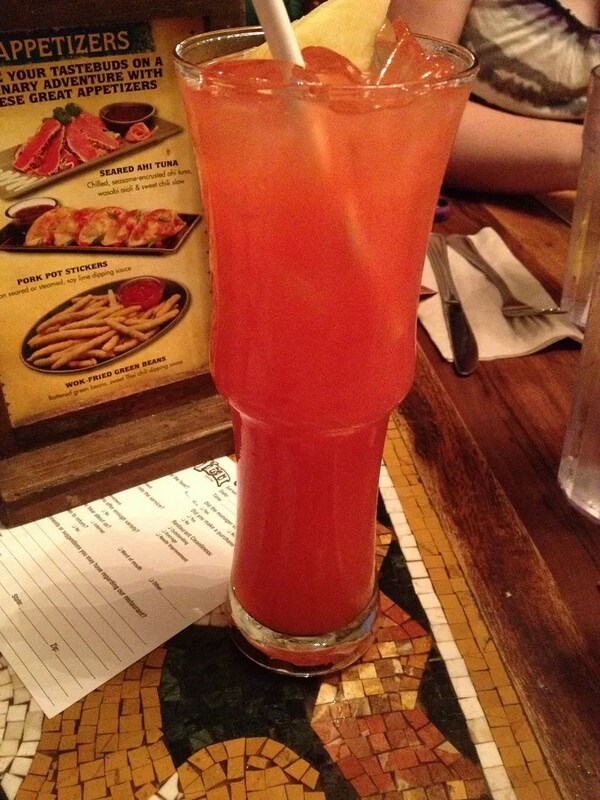 I’ve had this cocktail before and again I really enjoyed it. 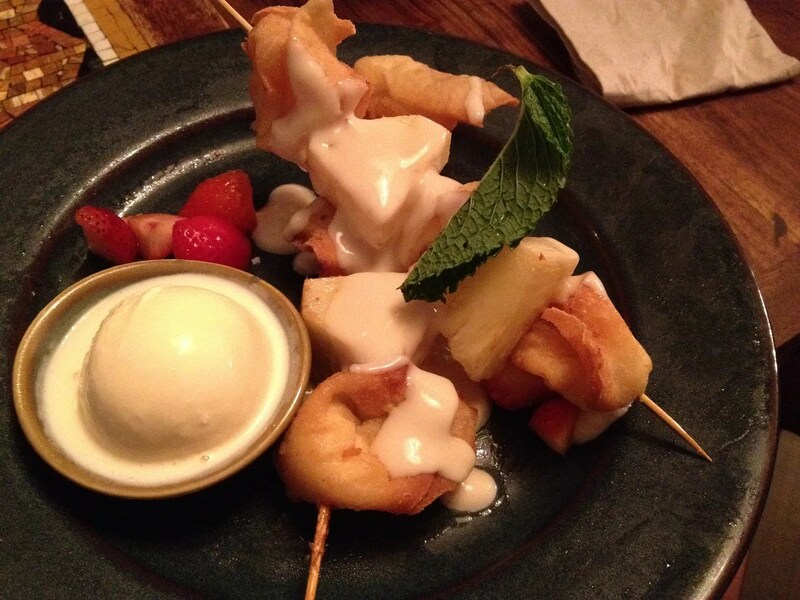 It was sweet and fruity and went down quite easily…even with a weird paper straw. 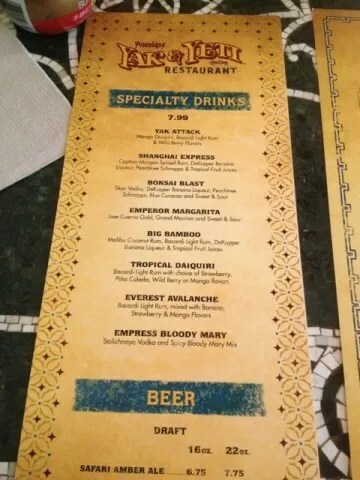 NOTE: The menu photos are actually from my March 2013 visit to Yak & Yeti and show the cocktail prices as $7.99. However, my bill from December shows that I was charged $8.99 for my drink, so I guess there has been a price increase. 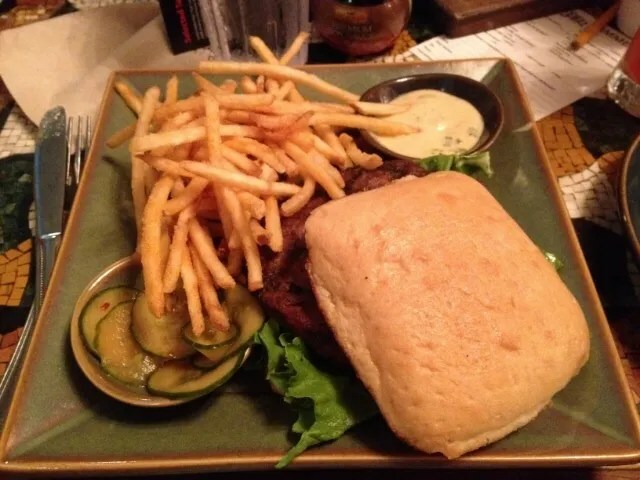 Kobe Beef Burger – 10 oz. 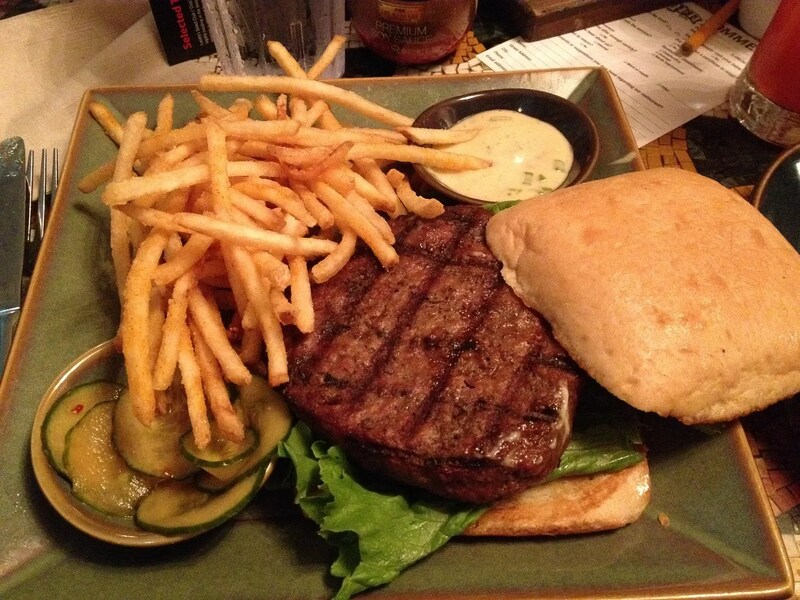 grilled American Kobe beef burger, sesame-soy mayonnaise, and crispy shoestring fries. Topped with choice of shiitake mushrooms and scallion compote or Asian slaw (I chose the mushrooms and scallion compote). 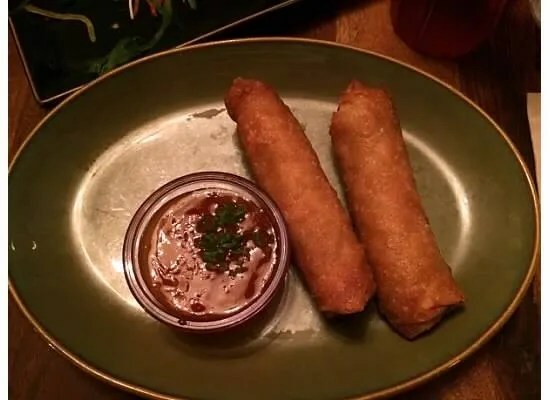 I haven’t yet found an entrée at Yak & Yeti that “wows” me, so I was tempted to play it safe and just order a couple of appetizers that I know I like (the egg rolls and pot stickers). But instead I decided to try an entrée that I had not had here before. I had high hopes for this, but sadly was a bit disappointed. While I can’t deny that it was a good burger, for me it just wasn’t worth the $18.99 price tag. 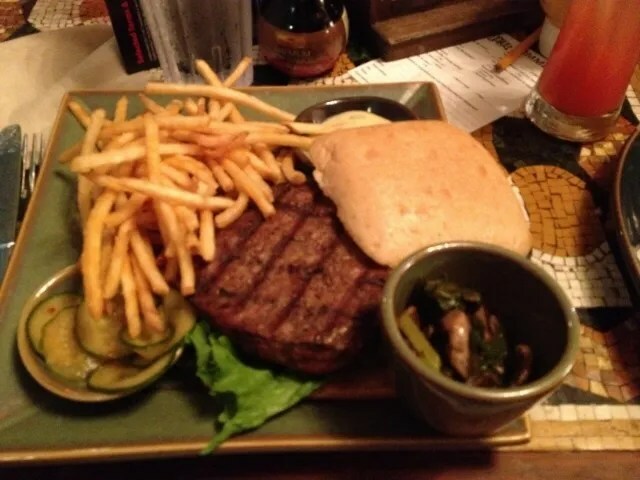 If the mushroom compote had been to my liking, it might have changed my opinion of this burger. But unfortunately, the compote tasted like pure garlic…strong enough to repel the entire “vampire” bat population of Animal Kingdom. While I love garlic (I am half Italian after all ), this much garlic overwhelmed the natural good flavor of the beef rather than enhancing it. 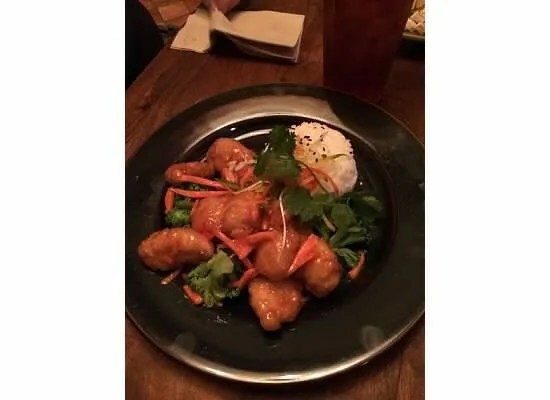 Emily tried a new item on the menu, the Veggie Lo Mein (Lo Mein noodles, carrots, cabbage, green onion, and bean sprouts) along with a side of steamed veggies (sorry no photos). This was good but she found it to be entirely too much food for one person. 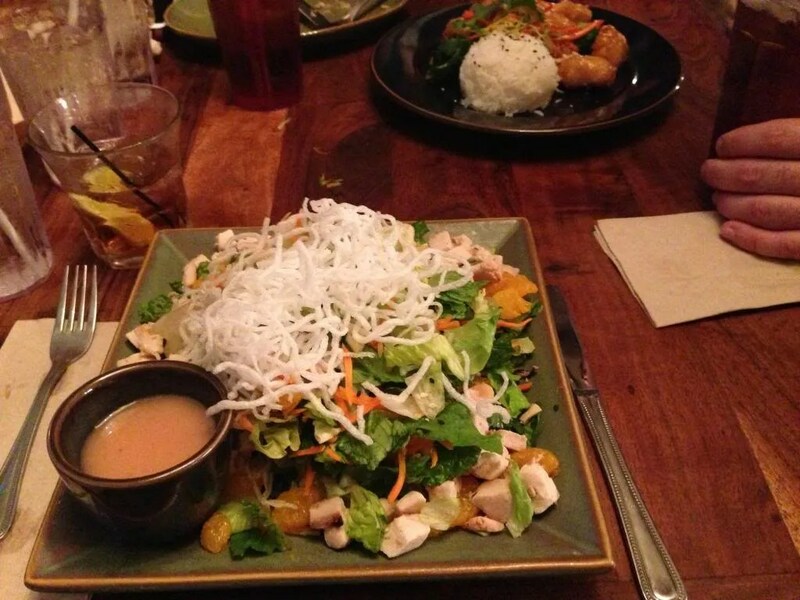 She liked expanding her horizons though and may look to share this next time she visits Yak & Yeti. 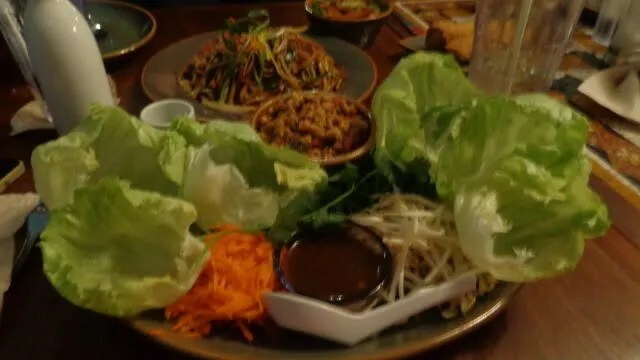 …and also the Lettuce Cups. 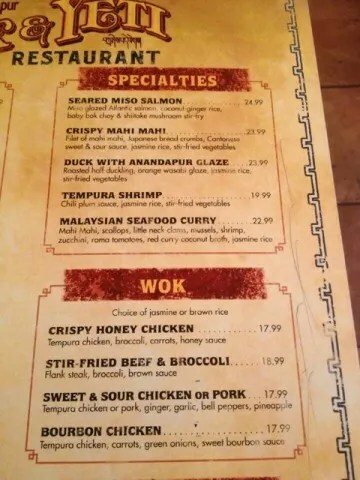 As always, the wontons were the highlight of my meal at Yak & Yeti. 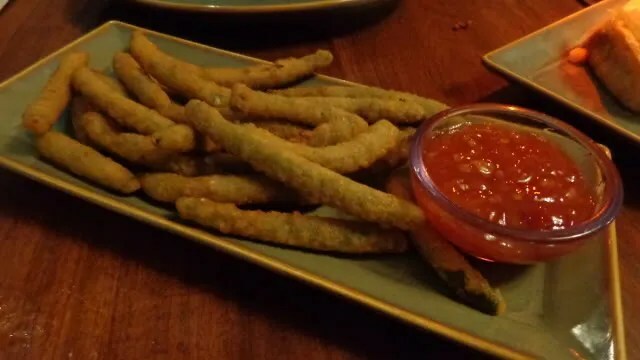 I think everyone agreed that they were delicious! 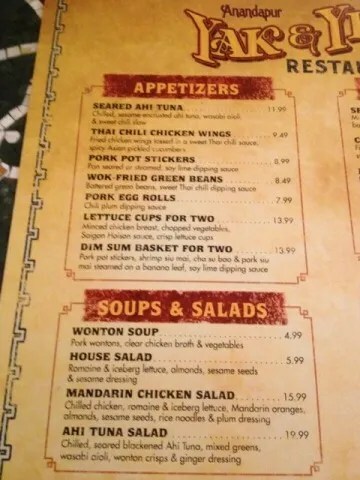 NOTE: The March price of the wontons was $7.99 but in December they were $8.99. 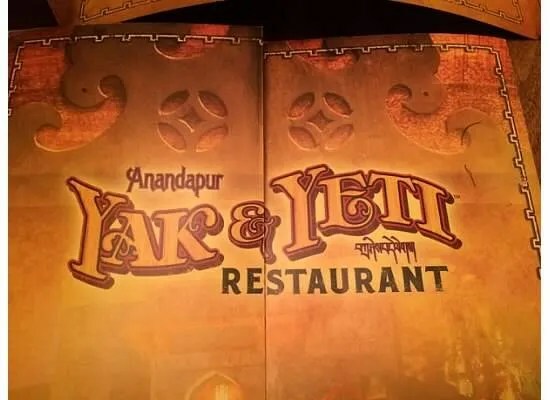 One more thing to add, although Yak & Yeti does not accept Tables of Wonderland it does give a 10% Annual Passholder discount on entrees only. 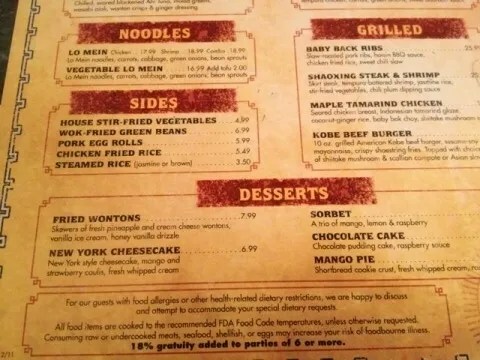 So I received a $1.90 discount on my $18.99 entrée , bringing the price of my burger down to around $17.00. Hmmm …nope, still not worth it.